The Yangstze River in China is the third longest in the world, starting in the Tanggula Mountains and discharging into the East China Sea some 6300km later. 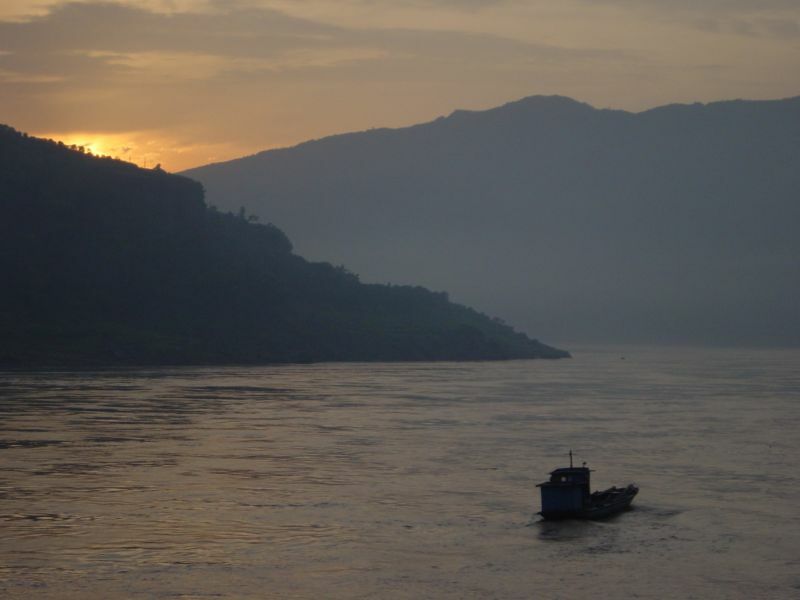 River cruising on the Yangtze is becoming increasingly popular, due to a general increase in Chinese tourism (thanks, in part, to the 2008 Summer Olympics and the relaxing of restrictions on movement by the Chinese government). Seeing China by river cruise offers a unique perspective on a country previously closed to most tourists. The river has a lot to offer in terms of beauty, culture and history – from the modern day Three Gorge Dam, through to the traditional Chinese villages. A hydroelectric dam on the Yangtze that took 18 years to build (it is completed apart from its currently under construction ship lift, to move ships from once side of the dam to the other), the Three Gorges Dam is truly a feat of modern engineering. It also holds the accolade of the world’s largest power station, generating 22500 Megawatts of electricity. It’s highly recommended to watch the ships passing between the locks, thanks to the sheer size of everything. Translating as ‘Precious Stone Fortress’, the Shibaozhai Temple sits within a hill on the banks of the Yangtze, consisting of a twelve-floored traditional Chinese pavilion structure, a gate and a temple. The temple was built in the Ming Dynasty, (1368-1644), with the pavilion being added later in the 1800s. Inside, inscriptions of Chinese history adorn the walls, including a mural depicting the story of Nv Wa. The Ghost City at Fengdu contains nearly 2000 years of history within its walls, with many ancient Chinese religious text referencing the area. For tourists, there are lots of great photo opportunities depicting tradional Chinese architecture, temples and palaces. The city is accessed by cable car and costs 80 yuan entry fee, + 20 yuan for the cable car. The White Emperor City (Baidi City) sits on the north bank of the Yangtze near the Qutang Gorge. It is this location a Chinese general during the Western Han Dynsasty created a separatist regime and created the city as his capital, calling himself the White Emperor. Poetry plays a big part in Baidi, with many notable poets inspired to write poems about the place. The Baidi Temple is a must, as is the Stele Forest (a forest containing ancient coffins suspended from the trees). The cost is 70 Yuan entry, plus 17 yuan for cable car access. This is a guest post by Neil Aston of River Voyages, a river cruise provider offering river cruises in China, Europe and elsewhere.